Since Mitchell took over from Jacinta Thompson as OzAsia Artistic Director in 2015, the landscape for Asian performance in Australia has undergone significant change. Before OzAsia, the only major celebration in Australia of Asian art was Brisbane’s Asia-Pacific Triennial, commenced in 1993 and principally a large-scale visual art exhibition but also including cultural performance and performance art. Commencing in 2007 and once the country’s sole festival focused principally on Asian performance, OzAsia now rubs shoulders with Melbourne’s Asia TOPA Triennial of Performing Arts, first staged in 2017, and, in Sydney, Performance Space’s annual Liveworks Festival. Meanwhile, organisations such as Contemporary Asian Australian Performance (CAAP, formerly Performance 4a) and Playwriting Australia, through its multi-year Lotus initiative, are fostering a new generation of Asian-Australian artists like Michelle Law and Katrina Irawati Graham. This year’s OzAsia will be held a month later than usual but there’s an early program announcement to whet the appetite: three Australian premieres in dance, theatre and opera spanning South Korea, Japan and China, plus two major contemporary art exhibitions at the Adelaide Festival Centre and Art Gallery of South Australia. For the first time, the festival will also host the Jaipur Literature Festival, a South-Asian institution and purportedly the largest free literary festival in the world. The works announced so far attest to Mitchell’s adventurous programming and commitment to representing the formal and conceptual breadth of contemporary Asian performance. He explains that, unlike in previous years in which a geographical focus shaped his programming decisions, 2018’s festival has been more broadly conceived to showcase the global influence of Asia and its diasporas. I begin by asking Mitchell about Dancing Grandmothers by prolific South Korean choreographer Eun-Me Ahn. Watching clips online, I’m put in mind of other contemporary dance theatre works by the likes of Jérôme Bel (2015’s Gala) and 600 Highwaymen (2013’s The Record) that foreground and celebrate non-professional and mixed-ability performers. “Dancing Grandmothers definitely continues that narrative,” agrees Mitchell. 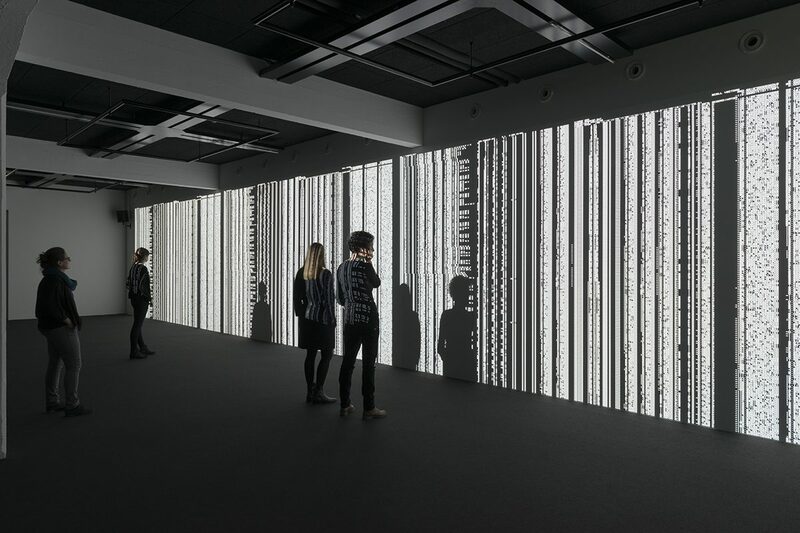 “Eun-Me Ahn asked herself, how do I create an ode to the women who founded Korea? So she jumped in a car with a video camera and drove all around South Korea trying to capture a sense of how South Korean women express themselves through their bodies. She took that footage back to her company of 10 dancers who created a response to it, which forms the first part of the work — a fun, frantic 45-minute sequence on its own. But then you are shown some of the footage Eun-Me Ahn took and you see the grandmothers dancing in their small villages and the like. 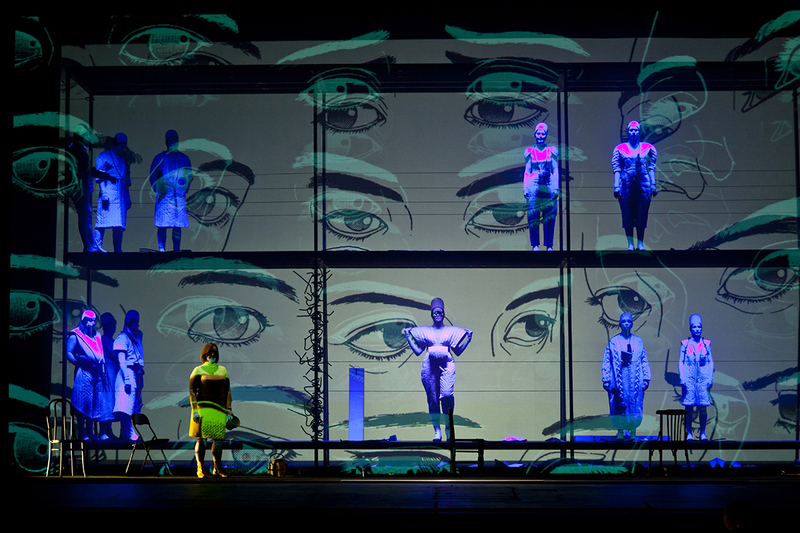 In addition to dance, this year’s program also continues Mitchell’s interest in presenting contemporary Asian opera via War Sum Up, a 75-minute electronic opera directed by the renowned Kirsten Dehlholm from Denmark-based company Hotel Pro Forma. Mitchell describes the work as a “powerful, short, sharp, visually striking and musically robust 21st century opera.” He explains, “It forms part of a bigger framework we kick-started last year (with Japanese composer Keiichiro Shibuya’s ‘vocaloid’ opera The End), where we’re thinking about opera not in the context of the traditional Chinese canon but from a global 21st century contemporary perspective. War Sum Up,” Mitchell continues, “is a good example of what I was saying before about moving beyond a geographical definition of Asia and thinking more about what is the influence of Asian contemporary culture globally in the 21st century. With this work, you’ve got a Danish director, a Latvian choir, Japanese Manga for the design, and the libretto, sung in Japanese, is based on traditional Noh texts. 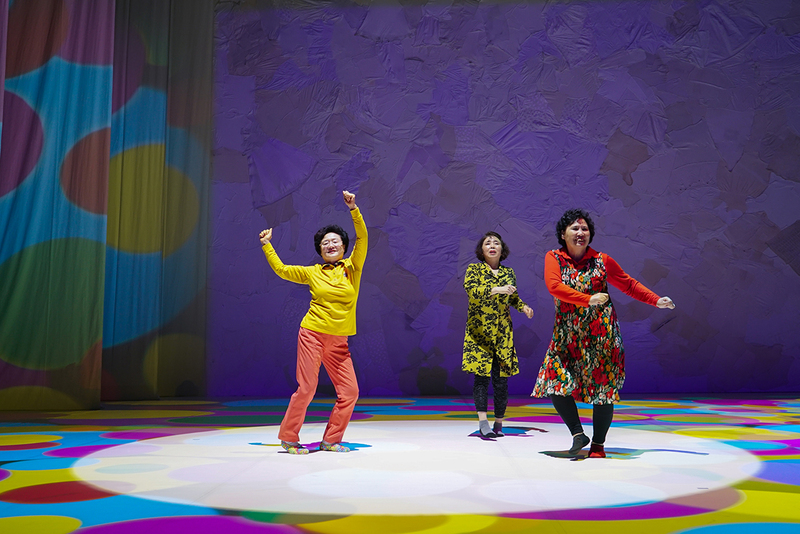 Relative to War Sum Up, Chinese playwright and director Stan Lai’s Secret Love in Peach Blossom Land looks decidedly traditionalist. 30 years old, the Mandarin-language play is now widely considered a canonical work of contemporary Chinese theatre (though it has not been seen in Australia before). “Stan Lai,” Mitchell tells me, “is a household name in China, much as someone like Baz Luhrmann is here, but for 1.2 billion people. And Secret Love is really the show that broke him and his long career trajectory when it was first staged in 1987.” Not unlike Michael Frayn’s 1982 play Noises Off —Mitchell endorses the comparison — Secret Love is a meta-theatrical comedy about two theatre companies booked by mistake into the same rehearsal space. While Joseph Mitchell anticipates a more robust conversation about the integration of Asian arts and culture in the Australian mainstream — a grappling with “the multicultural diversity of this country and the place of Australia geographically at the southern tip of Asia” — the OzAsia Festival, under his venturesome direction, continues to point the way forwards.